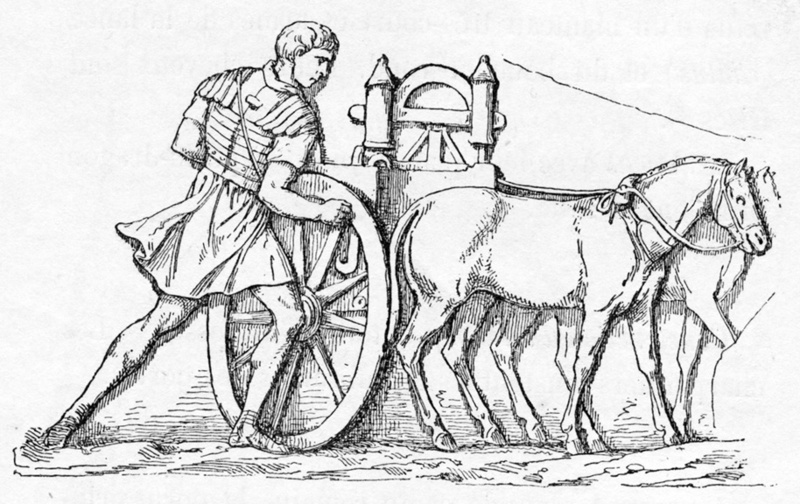 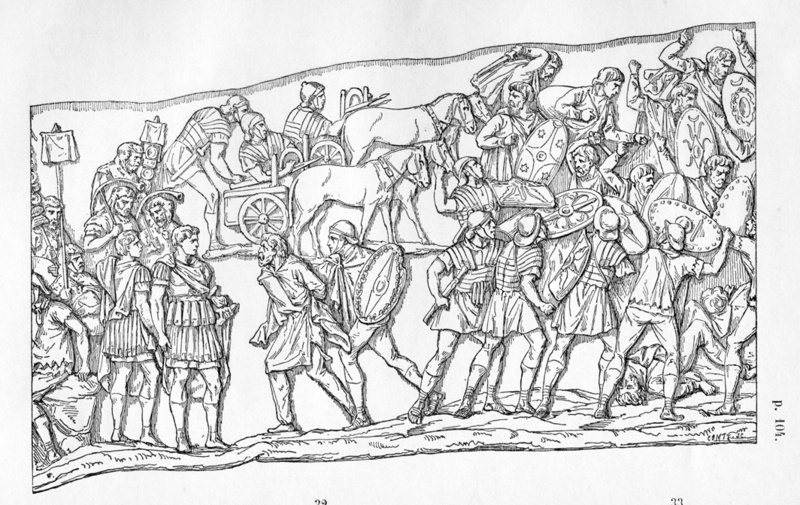 The line drawings of Jules Duvaux were published in W. Froehner’s La Colonne Trajane in 1865. 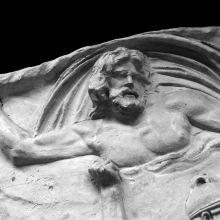 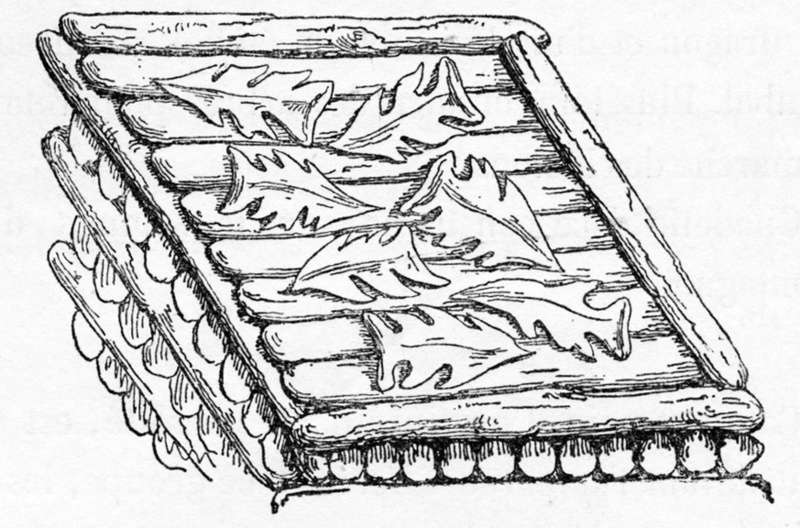 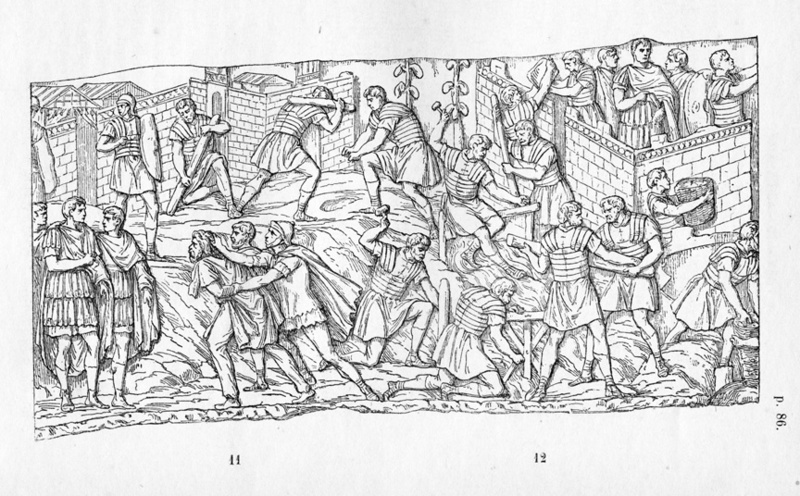 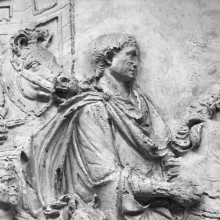 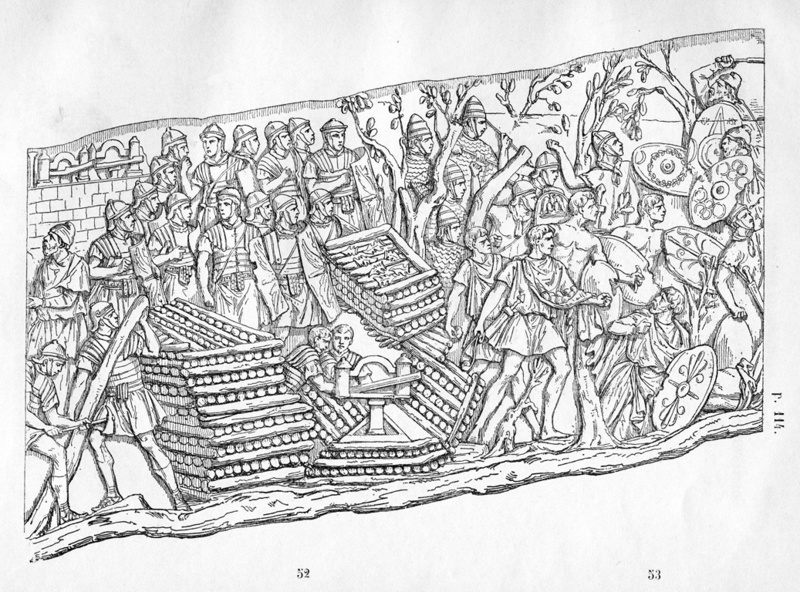 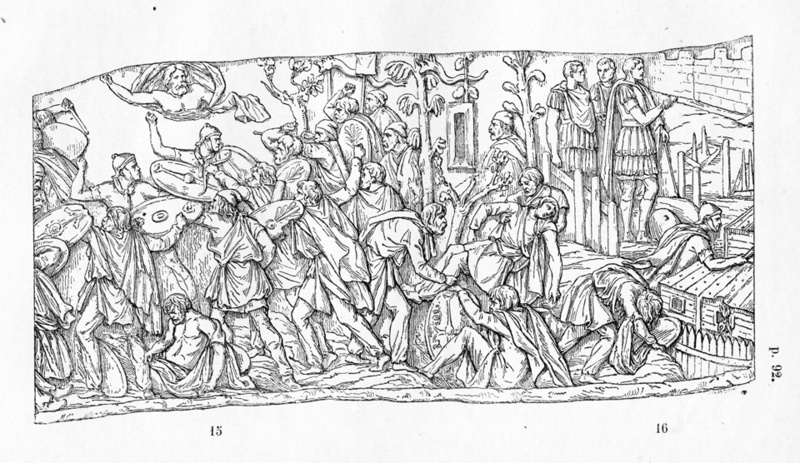 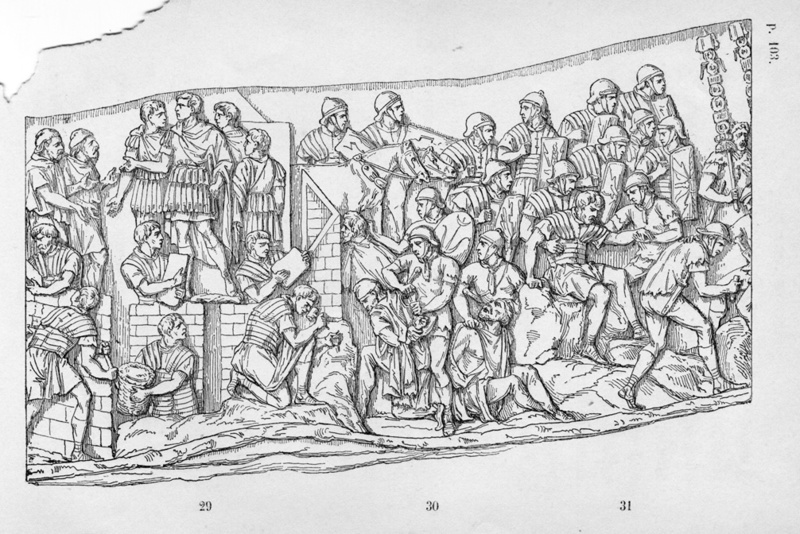 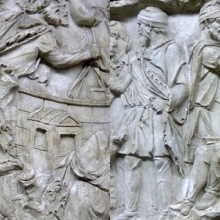 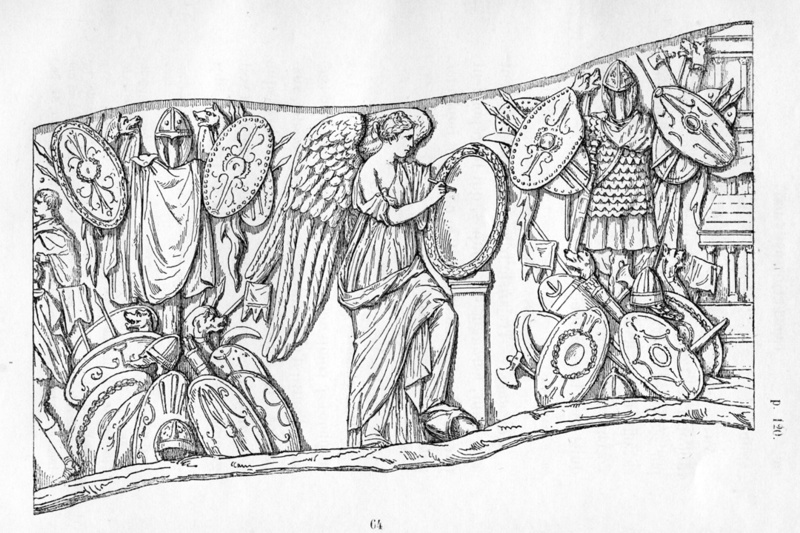 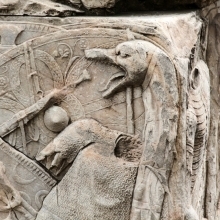 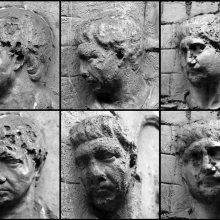 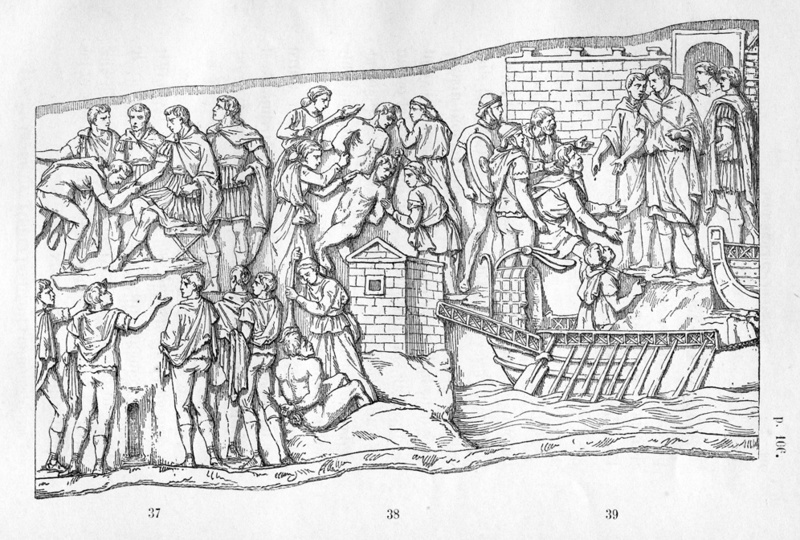 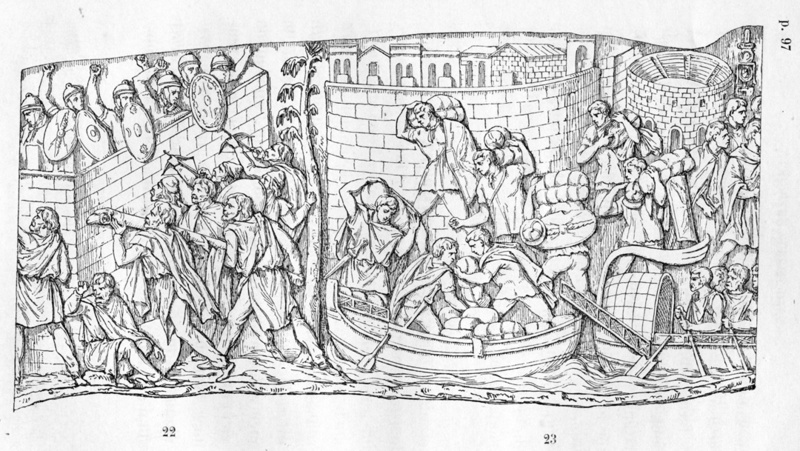 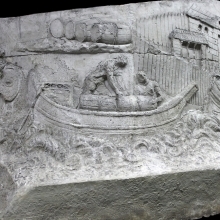 The photo gallery here reproduces the engravings made for the last two-thirds of the book: “Les Bas-Reliefs de la Colonne Trajane” (from page 61). 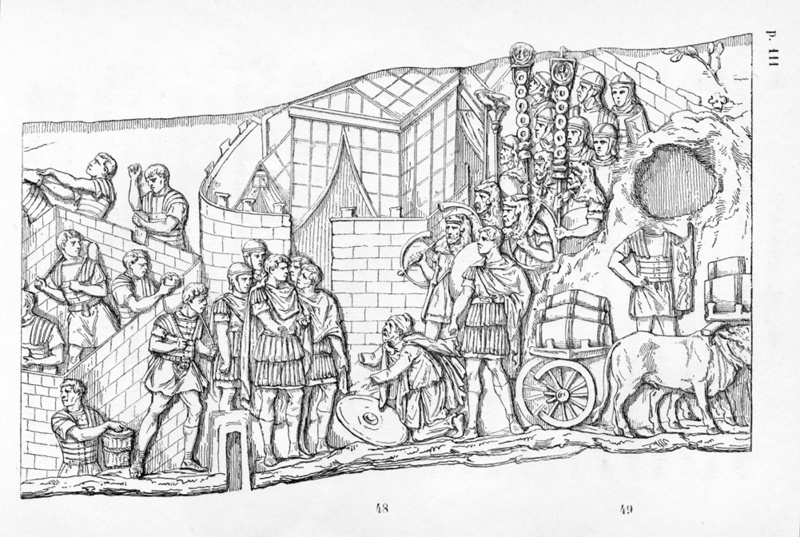 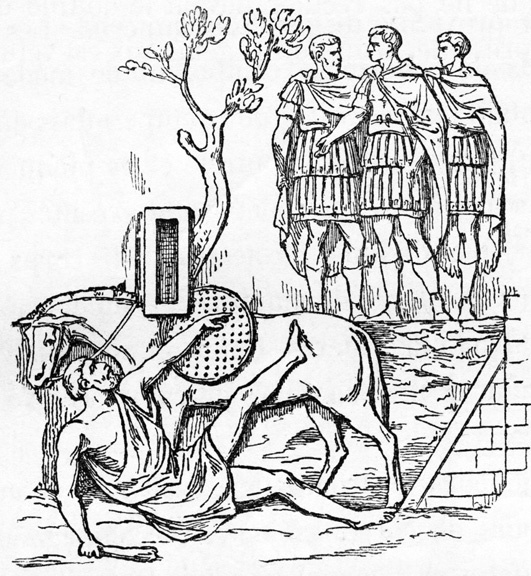 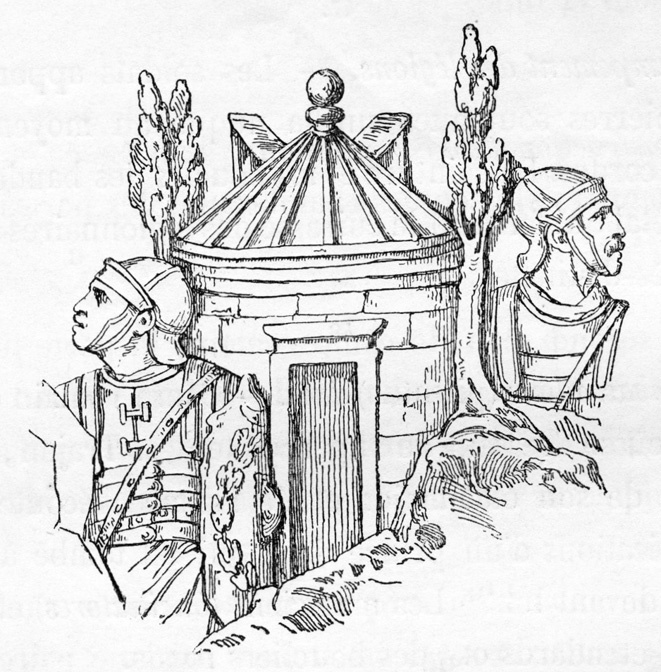 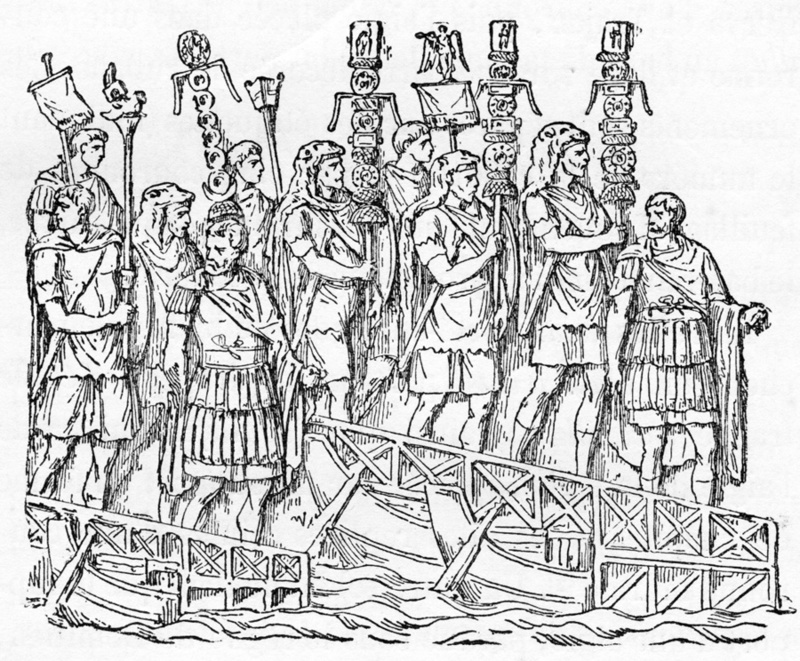 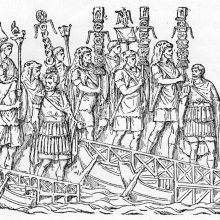 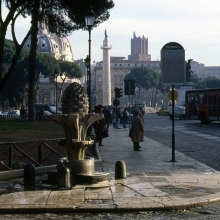 The first illustration represents the principal (southeast) side of the Column’s pedestal. 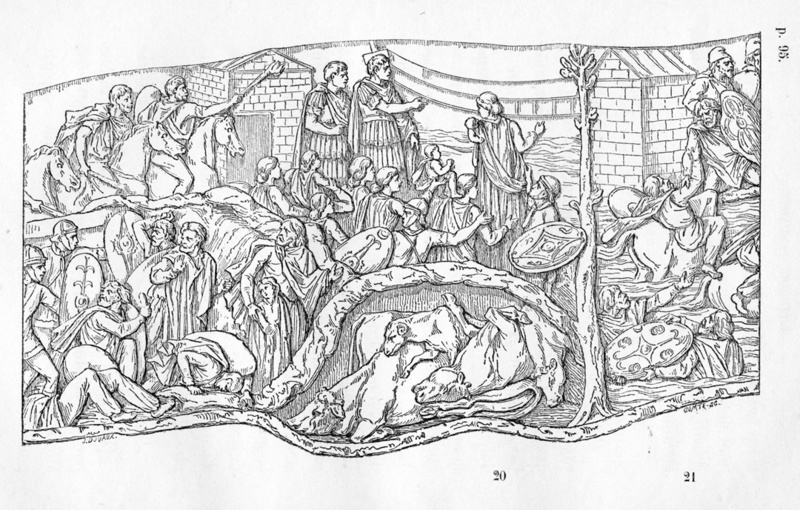 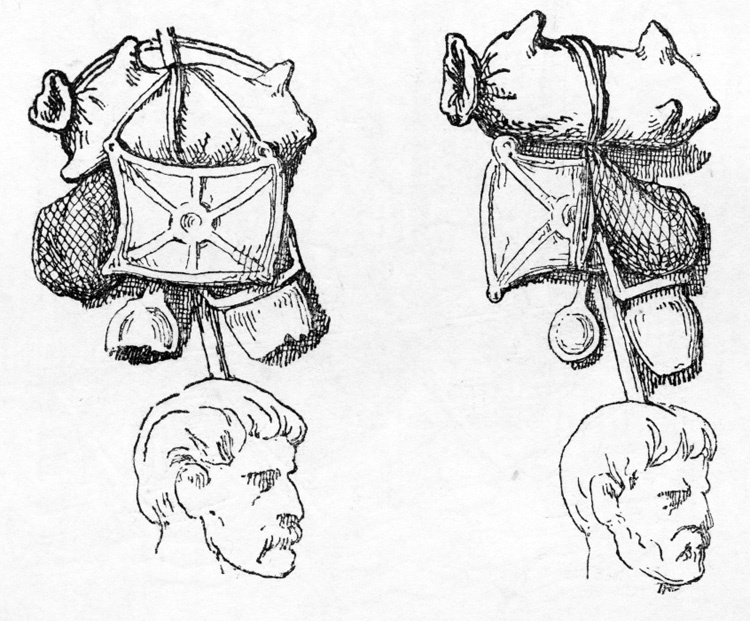 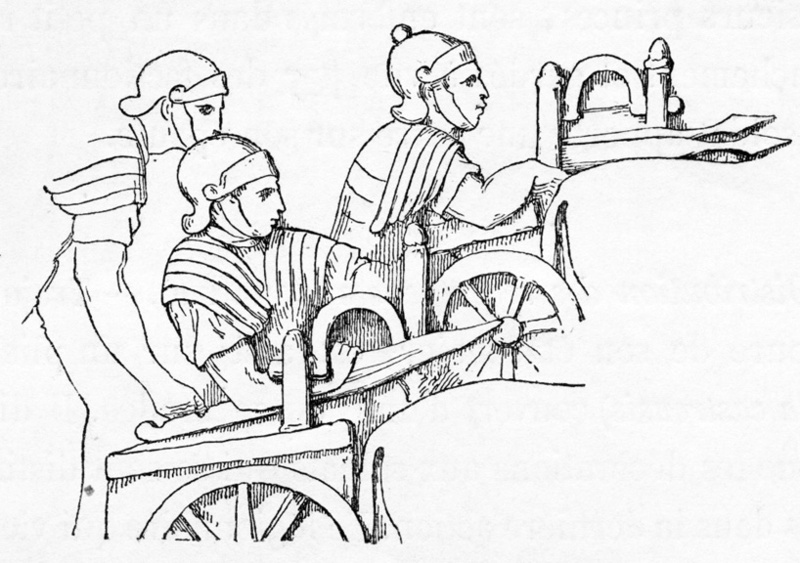 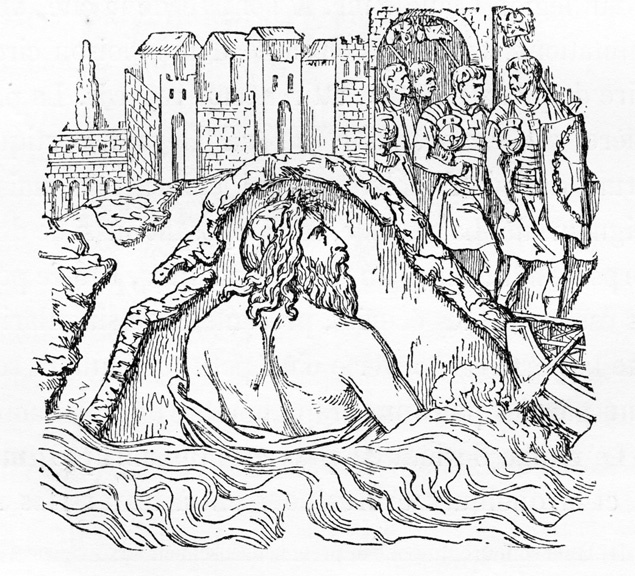 Froehner and Duvaux did not provide an illustration for every episode. 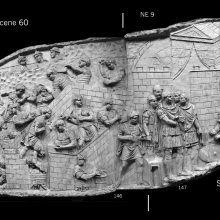 For example, the first set of scenes is omitted; the initial representation of figural relief is a detail of the River Danube (scene 3). 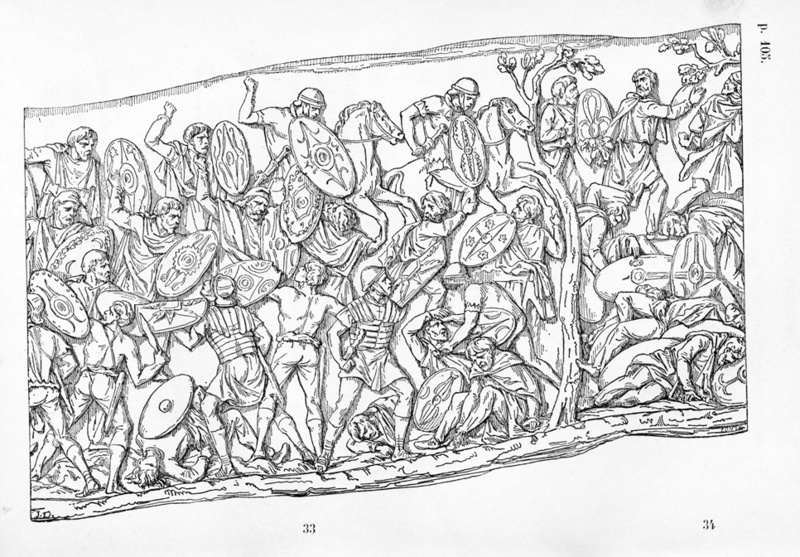 The images in the gallery here are complete and shown in the order they appear in the original volume. 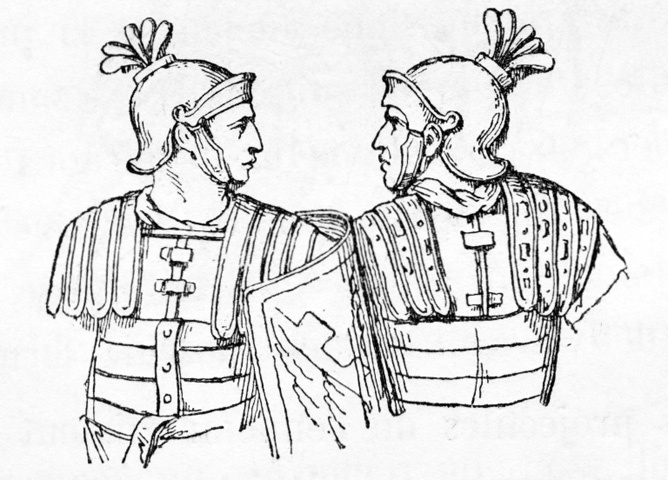 Cichorius’s system of scene numbering was not to be invented for several decades, thus it should be no surprise that the numbering of the engravings here does not match the system introduced by Cichorius. 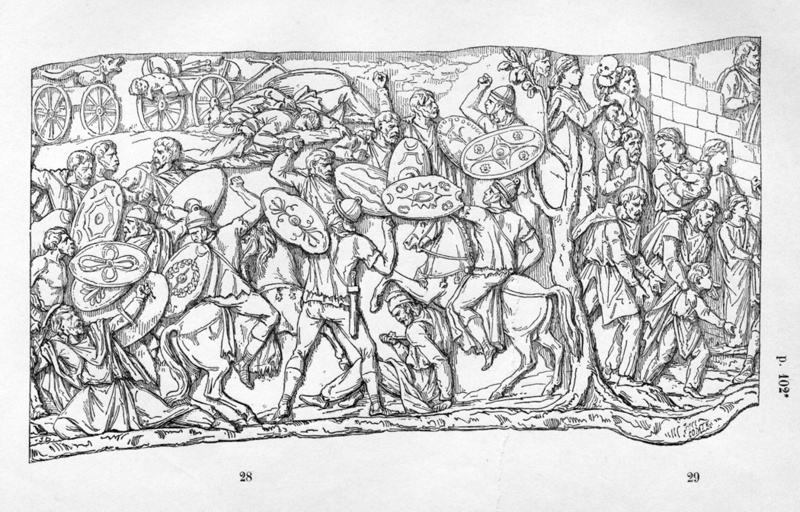 In some cases the original Duvaux engraving is represented side-by-side with a photograph of the same scene as cast in 1861. 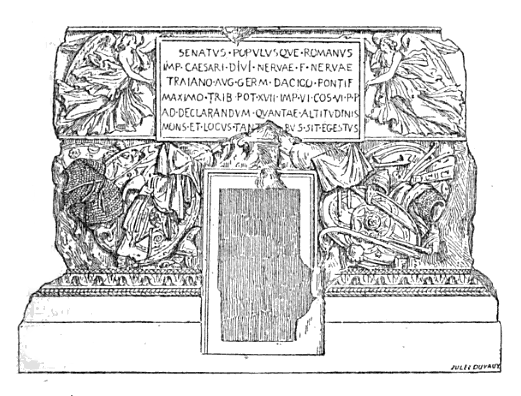 While some surface details do vary, Duvaux’s attempt to represent the reliefs faithfully is admirable. 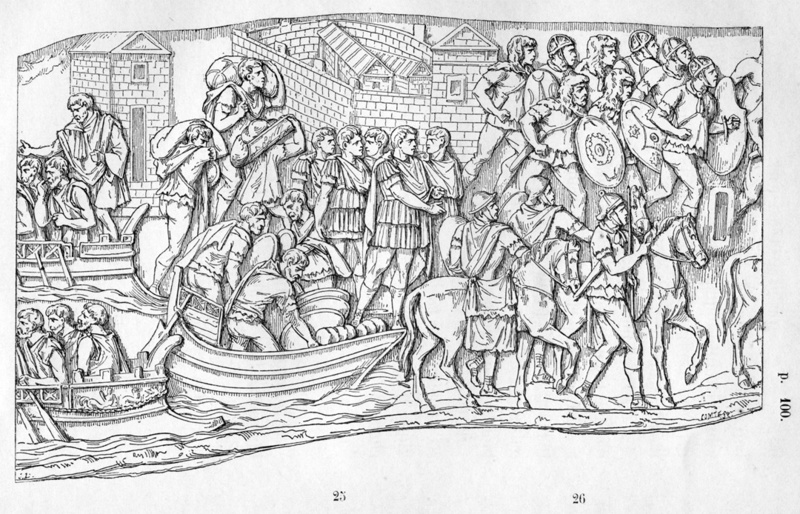 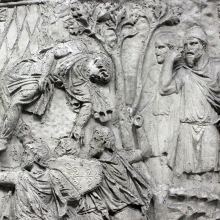 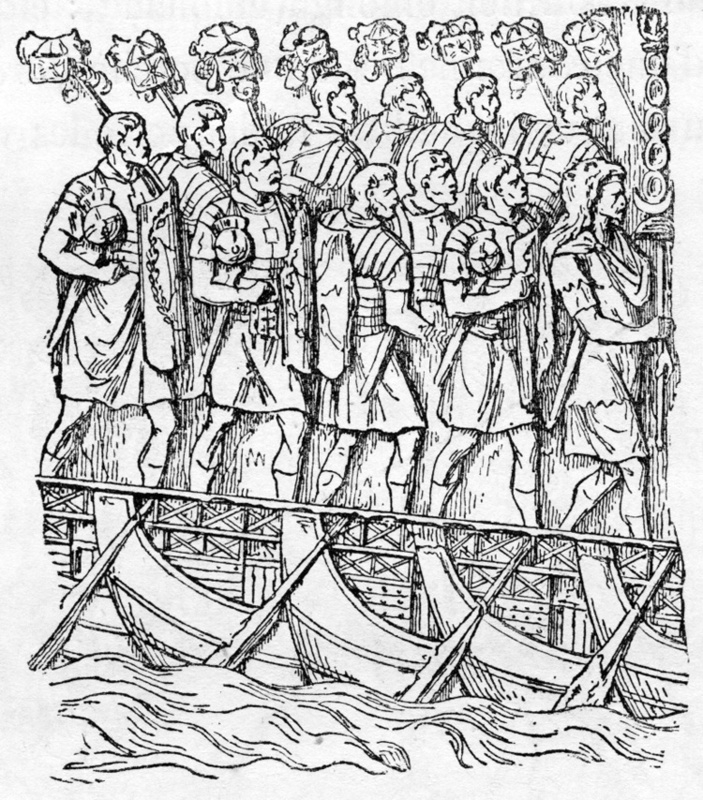 Scene 78: The end of the first Dacian War. 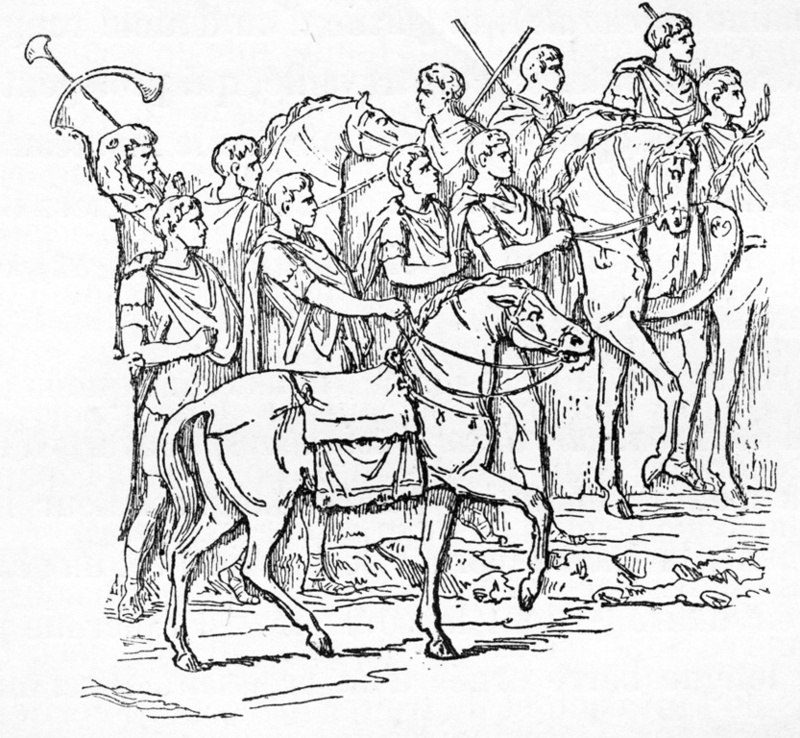 Trophies and Victory. 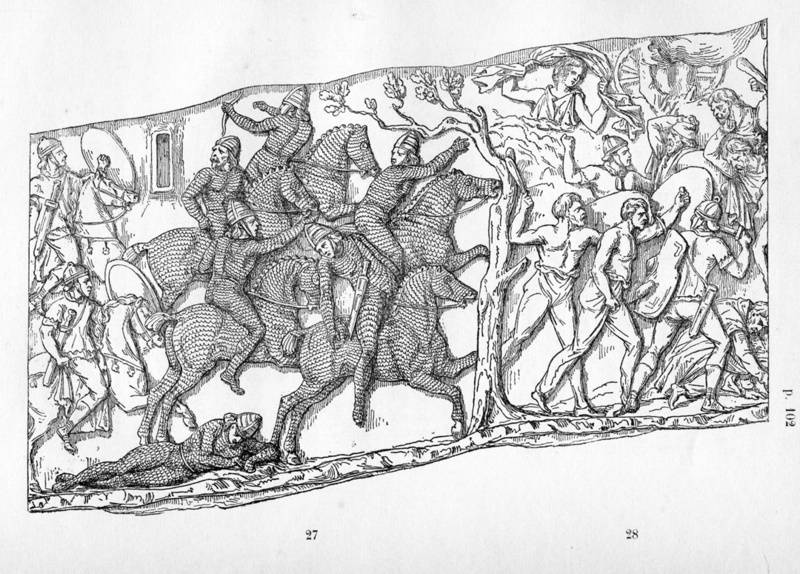 Compare Cichorius Plate LVII.<br />From the original publication of 1865; Ref: F-D-78.